Is Your Skincare Line Making You Age Prematurely? Home/Articles, Beauty/Is Your Skincare Line Making You Age Prematurely? Reading skincare product labels can be even more confusing than reading food labels. Unfortunately more and more food products contain unpronounceable chemicals, too, but skincare products contain almost nothing but unpronounceable chemicals. And yet they make such exalted claims—“reduce the appearance of lines and wrinkles,” “helps prevent/reduce the signs of aging,” “fills in wrinkles,” “nourishes your skin by replacing lost moisture,” “promotes elasticity,” “renews your skin,” “tightens and tones,” etc. Don’t we all assume that there must be some magic in those big long unpronounceable words to deliver all of that? Here’s the truth: your skin is just another organ of your body, which means the same principles that heal the inside of you, will help to restore the outside of you as well. As I argue in my book, “How to Be Healthy: Body, Mind, and Spirit,” the naturopathic principle of healing boils down to this: if you give your body the building blocks it needs to heal itself, and remove the obstacles to cure preventing it from healing itself, then within reason, healing will follow. Here’s how this applies to your skin. It seems like common sense to think that what you put on your skin matters less than what you swallow, but it’s not true. In fact, once a substance makes it into your gut, before it hits your bloodstream it has to stop off at your liver. Your liver is like the gatekeeper: it decides what gets to go on to your bloodstream and circulate throughout your body, and what gets broken down and metabolized out for elimination. This is called First Pass Metabolism. Parabens: this is usually a suffix, so look for any word that ends in this. These are used as preservatives, but are associated with endocrine (hormonal) cancers. Specifically they have been linked with breast cancer. They are banned in Japan and Sweden. Sodium Lauryl Sulphate or Sodium Laureth Sulfate: another suspected carcinogen, this one is linked to kidney and liver damage (and is associated with frequent UTIs), nervous system disruption, eye damage, eczema and dermatitis, and is also linked with SLE (Lupus). It’s been banned in Europe and Central America. Phthalates: these are in plastics – the softer the plastic, the more phthalates are in there. They are also endocrine disruptors, associated with endocrine cancers, and can damage the liver, kidneys, lungs, and reproductive system. They were banned in the EU in plastic toys, but are still used in plenty of toiletry products. Propylene Glycol: found in antifreeze, this is toxic to the nervous system. It can also clog pores and speed up skin aging by depleting moisture from deeper skin layers. It has been banned in Europe. Aluminum: found in most deodorants, aluminum toxicity has been linked with Alzheimer’s (and also potentially with autism). Formaldehyde (aka formalin, formal and methyl aldehyde): used as a disinfectant and preservative, it’s a suspected carcinogen (especially linked with lung cancer). Exposure in high doses can cause asthma, headaches, eye irritation and upper respiratory irritation (I can attest to this firsthand from anatomy lab). It’s been banned in Japan and Sweden. Toluene: a solvent toxic to the nervous system; can also damage the liver, cause asthma, and disrupt the endocrine system. Anything ending in -ethanolamine (Diethanolamine, Triethanolamine, Monoethanolamine): used as emulsifiers and foaming agents, upon absorption, these become nitrosamines, which can cause cancer. They are also endocrine disruptors and skin irritants. Talc: increases risk for ovarian cancer specifically, and for UTIs. Xylene (aka xytol or dimethylbenzene): can damage your liver, and cause skin and respiratory tract irritation. So, not only is it unlikely these chemicals will lead to radiant, healthy skin (in fact, many of these chemicals cause cellular damage to the skin itself)—they’ll damage overall health as well. This one might seem counterintuitive. Isn’t water natural? Isn’t it hydrating? Yes, but the problem is, your skin can’t absorb water because it has a natural layer of oil on top of it (sebum) and it’s primarily made up of fat… and water and oil don’t mix. But when water on your skin dries, it actually leaves the skin drier than it was before. 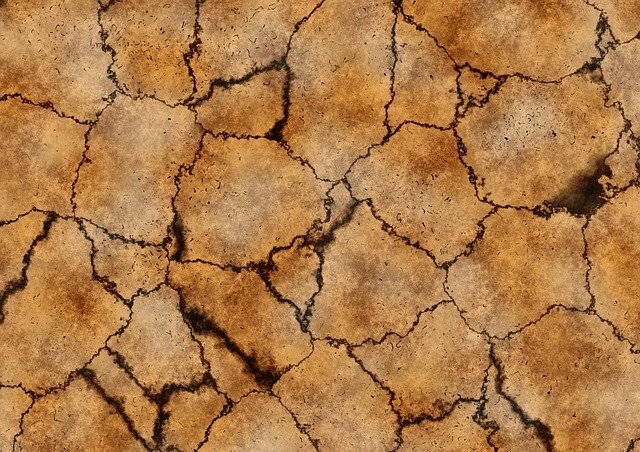 Dehydrated skin looks older and shows more wrinkles. Water is a cheap ingredient, and means companies don’t have to put nearly as much of the other ingredients into the product. But if there are also oils in there, you’ll have to add 1) an emulsifier to enable the oil and water to mix, and 2) a preservative, to keep the product from going bad. See how these chemicals render themselves necessary on a large scale? Bottom line: water doesn’t belong in your skincare products. Not only does it dehydrate and dilute the good stuff, but its presence means other chemicals will have to be added, as well. The building blocks your skin needs to be healthy are the same ones that the rest of you needs: micronutrients (vitamins and minerals). Essential fatty acids. Antioxidants. We get these from things like oils and essential oils, herbs, and clays. Ideally, that’s what you’d put on your skin. And that’s ALL you’d put on your skin. Patients often ask me about skincare lines I can recommend. So I started investigating, and what I’ve found is that even most of the so-called organic lines don’t adhere to these standards for the most part. I found a few isolated products here and there, but rarely a full line that I can really stand behind. So I decided to create one myself! …As you might imagine, that’s a little involved, though. 🙂 So before I really dive in head-first, I want to know if there’s enough interest out there to justify it. If you would take the time to answer the following quick survey, I would really appreciate it! Thank you in advance for your feedback!